I can’t remember why I first started running. I was in university and just had an urge, so I laced up, went out for a morning run and was hooked. Hooked on the escape running gives you when, a mile or so into it, you hit a zone where you’re no longer aware of how your legs are doing the job and your mind escapes into another world. Hooked on the euphoria at the end of the run that carries me through my day. I’ve found running to be my perfect antidote to mind clutter, indecision and stress. But fast-forward to today’s running boom, and my fellow Nigerians are in on the action too! (After all, Naija no dey carry last, abi?) And so it gives me extra pleasure to bring you our June/July issue, which features many inspiring Nigerian women who too have discovered running and the many benefits it offers. 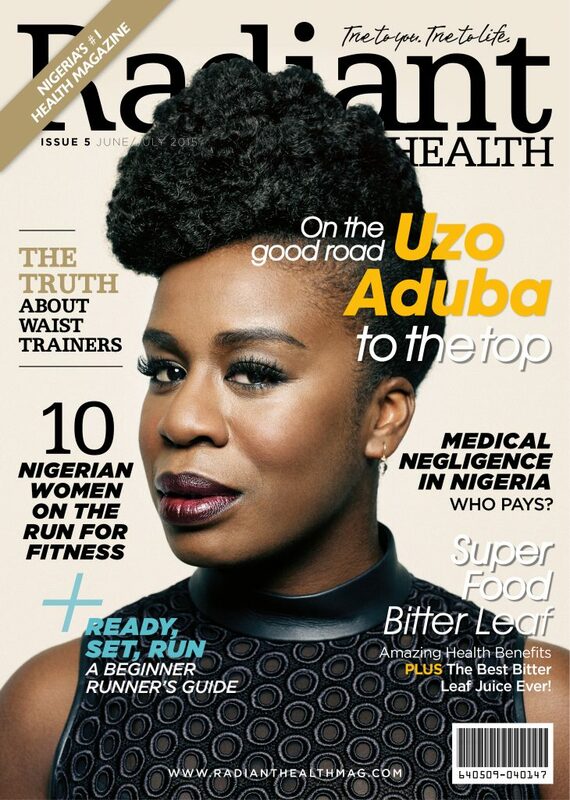 I am also excited and deeply honored to introduce the amazing woman featured on the cover of our June/July issue, multiple award-winning Nigerian-American actress Uzo Aduba, who is also no stranger to pounding the pavement. Just this past April she ran the Boston Marathon to raise funds for a cancer charity! Last year, after binge-watching all of the seasons of the Netflix hit show OITNB, I naturally hit the Internet to learn more about the cast. Imagine my pleasant surprise at learning that “Crazy Eyes” (Uzo’s character) is one of our very own: a Naija woman! I started dreaming about featuring her on Radiant Health. I just love her grace, her strength, that smile and the confidence she exudes – truly a Radiant woman personified. 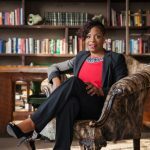 My dream came true (pinch me), and in an exclusive interview with Radiant Health, Uzo talks to us about her Nigerian heritage, her family’s sports prowess, how she’s giving back and more! And, as if this interview were not enough to light my world, the wait is finally over for OITNB’s new season which premiers this Friday, June 12! Now if all of this talk about running is getting you excited, wait till you read about some amazing Naija women, hailing from Port Harcourt to Qatar, who are blazing the trail in the name of fitness. They will inspire and motivate you to lace up your running shoes, too. Luckily for you, we’ve made it easy to turn all that motivation into action with our Beginner Runner’s Guide. In no time, you too will have your own running story to share! While physical fitness is a great way to stay fit, healthy and out of the hospital, there are times when a hospital visit is unavoidable. Our expectation when we seek medical care is of course to get better. But unfortunately, in Nigeria many hospital visits devolve into horror stories of harm and even death due to medical negligence. I do not know a single Nigerian who has not either been a victim of medical negligence in Nigeria or known someone who has been. In this issue, we bring you our 3-part series on medical negligence in Nigeria. We explore the origins of the problem, look at the challenges involved in seeking legal justice for victims and suggest some practical solutions to this worsening epidemic. There are some powerful stories in this series that you won’t want to miss. But wait … there’s more (trying out my infomercial voice). Should you get that waist trainer? Can bitter leaf help you ward off malaria this rainy season? Will there ever come a day when you’ll describe bitter leaf juice as refreshingly delicious? There’s only one way to find out – read the entire issue here. P.S. How can Radiant Health serve you better? I am always happy to hear from you. 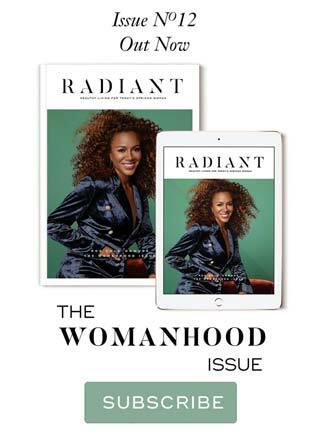 Email me at nnenna(at)radianthealthmag(dot)com.